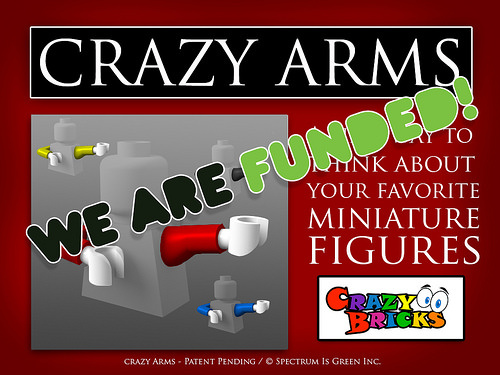 Guy Himber’s Crazy Arms Kickstarter project hit funding over the weekend, and deliveries are expected by the end of the year. This one looks particularly useful. If you want in on the Kickstarter rewards yourself, you have about 12 more hours to support the project. 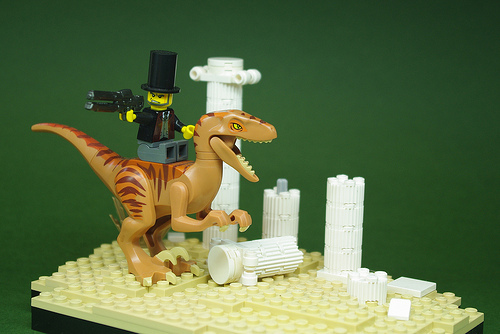 I’ve always enjoyed Guy’s various custom projects, and this particular one has the approval of Abraham Lincoln on a velociraptor (my war-like Honest Abe is using one of Guy’s older straight-arm prototypes, and is wearing one of his stovepipe hats).